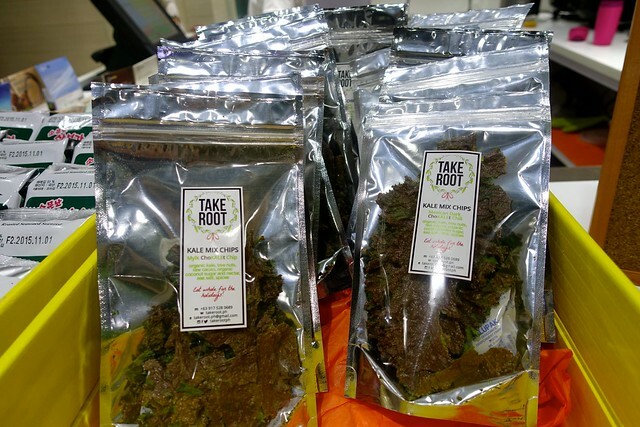 SPROUT ME UP! - I Blog, Therefore I Am. The lack of healthy and delicious food in the metro bothers me. The lunch box diet deliveries are okay but it lacks variety and "yum" on it. I love restaurants and eateries that offer fresh and organic options for our weary cholesterol-laden bodies. 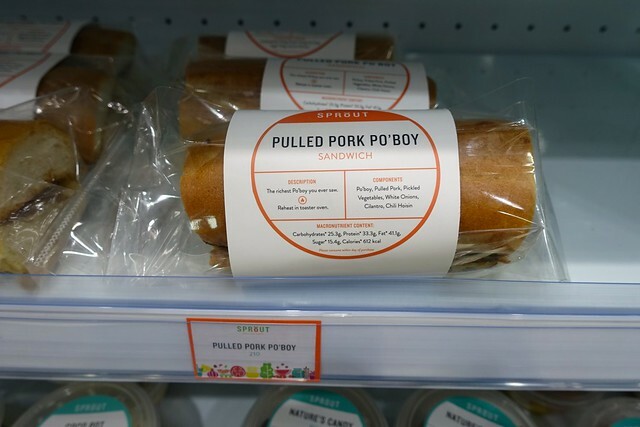 Among my favorites which provide healthy dishes are Corner Tree Cafe in Nicanor Garcia, Faburrito at The Columns, and just recently, Sprout Fresh Convenience in Valero St.
Sprout is a newly-opened "healthy convenience store" which offers fresh, healthy and non-processed food that are good alternates to our usual fastfood fare. 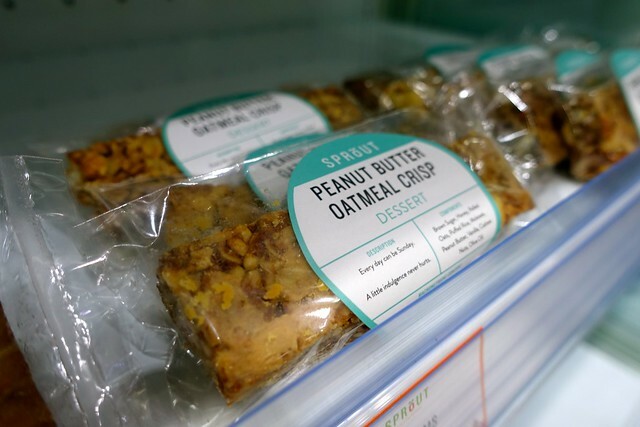 They offer rice bowls, salads, sandwiches, chips, desserts, and healthy drinks in their store. 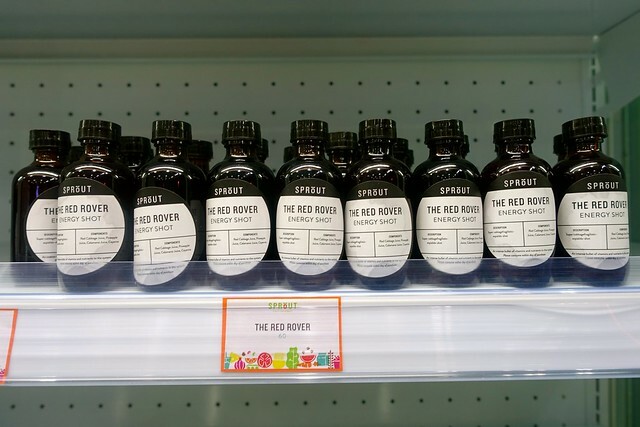 It's your 7/11 grab-and-go store but in a a very good and healthy way. 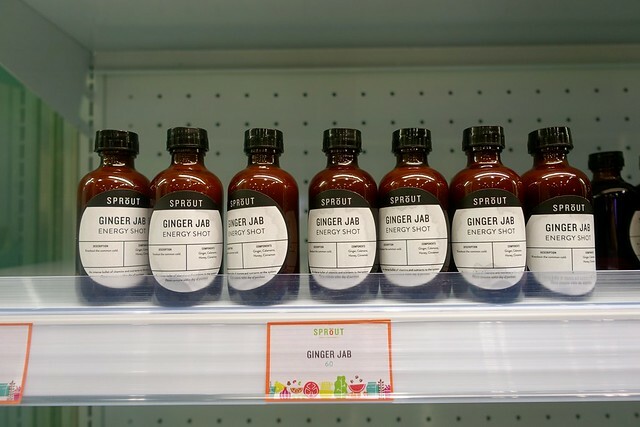 Sprout just opened last month and I was able to try it for 6x already! Aside from the rice bowls - what I love about it are the nutritional labels attached to each food. It clearly states the ingredients and the carbohydrates/fats/sugar/calories on the food it serves. This is very helpful for me since I can readily choose food that are low in sugar and carbohydrates. The interiors of the store is also very minimalist, inviting and refreshing. I just wish that they have more tables and chairs to accommodate quick lunches among friends and colleagues. 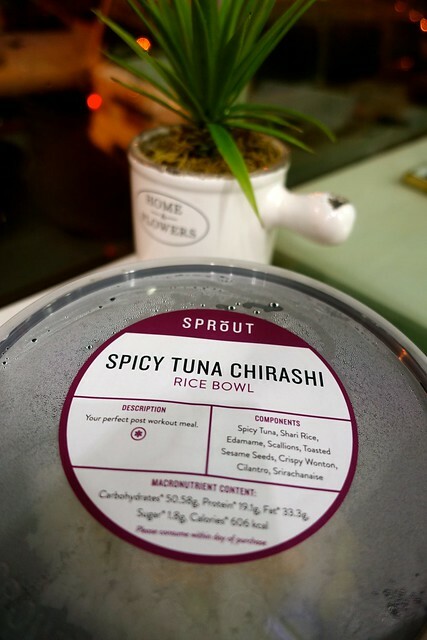 My favorite and go-to meal at Sprout is the Spicy Tuna Chirashi (Php 210.00). I love the combination of the gourmet Shari Rice and the spicy kick of the meal. The serving is not very big but the food is very filling. This is also my top choice because the sugar content is only 1.8g (Hello, Diabetes!). I would eat this everyday if I can! 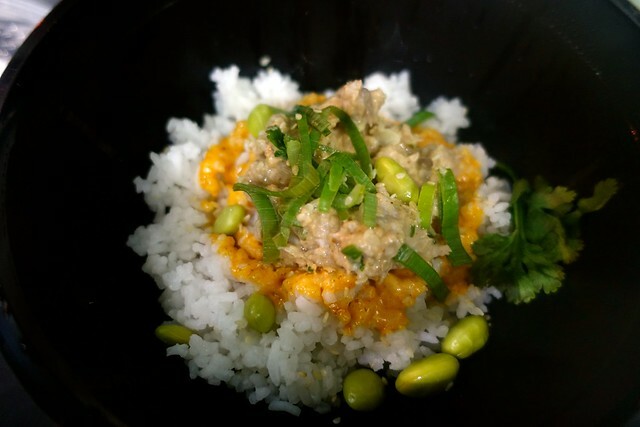 Another dish that I recommend is the Laing Rice Bowl. 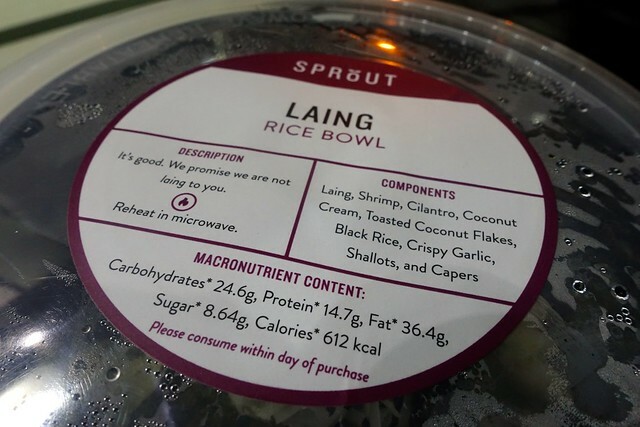 This is quite different from other Laings I've tried in the past since this is cooked in full leaves instead of the shredded-bits-into-pieces type. It comes with Black Rice and bits of shrimps and it's also very filling. 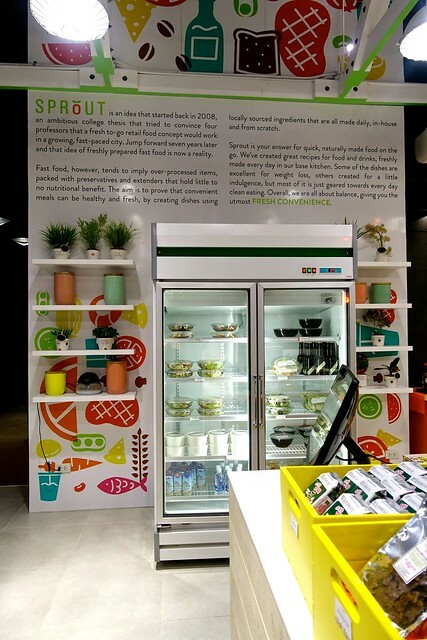 Sprout is a welcome organic store amidst the non-healthy restaurants that surrounds us. It's very near our office so it's very convenient for me. 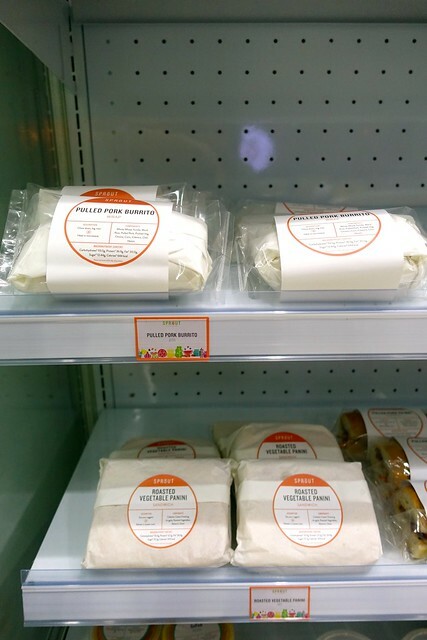 I really like its concept of "fresh everyday convenience store" and I am hoping that a lot will follow their example. 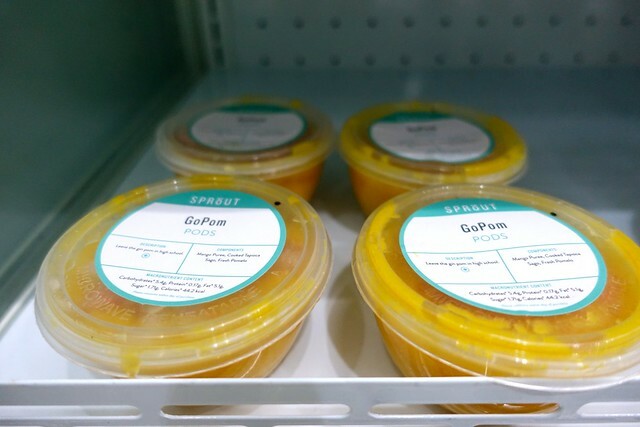 I would eat all my weekday meals in Sprout if not for the price. 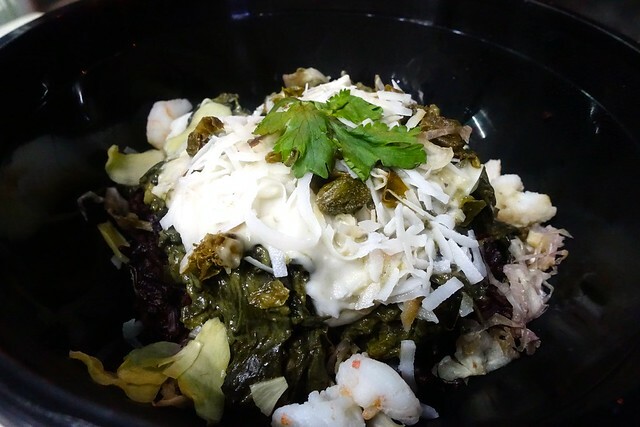 Bowls, salads, and sandwiches are priced at Php 200 - 300 on the average. It's good for 2-3x a week indulgence if goal is not to hurt the wallet too much. 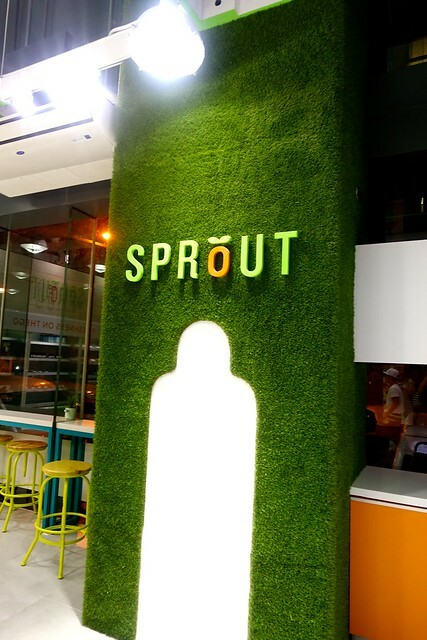 Sprout Fresh Convenience is located along Valero St., in Makati at the Ground Floor of Signa Designer Residences. They will open another branch in SM Megamall. The very friendly staff also told me that they might offer delivery services soon.